Intex released their first affordable fitness band named Fitrist. 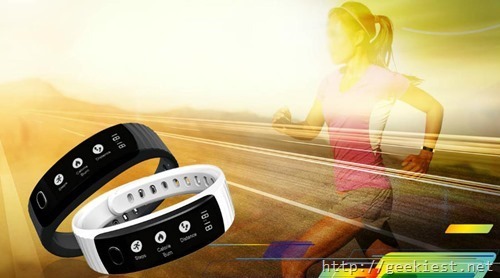 This band will be having a lot more features when compared to the other fitness bands in its price range. The device will be priced just INR 999. Calling and SMS Alert – Get notified about the incoming calls and messages when paired with your smart phone. MP3 control �� You can control the music of the phone. Long press to enter this function and short press to switch between next, previous, play and pause options. Available in two colors- dark Blue and White. Fitrist can calculate Steps, Distance, Calorie and quality of sleep. It also have a 3 axis accelerometer. There are some limitations for the iOS devices such as vibration notification for incoming calls will not be working for them (icon will be visible) and also SMS alert will be working only with Android devices. Intex released an affordable fitness band with OLED display, notifications etc. Here are the first hand on images of Intex's affordable FitRist Fitness band with display.